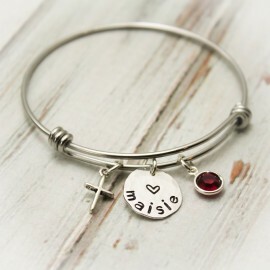 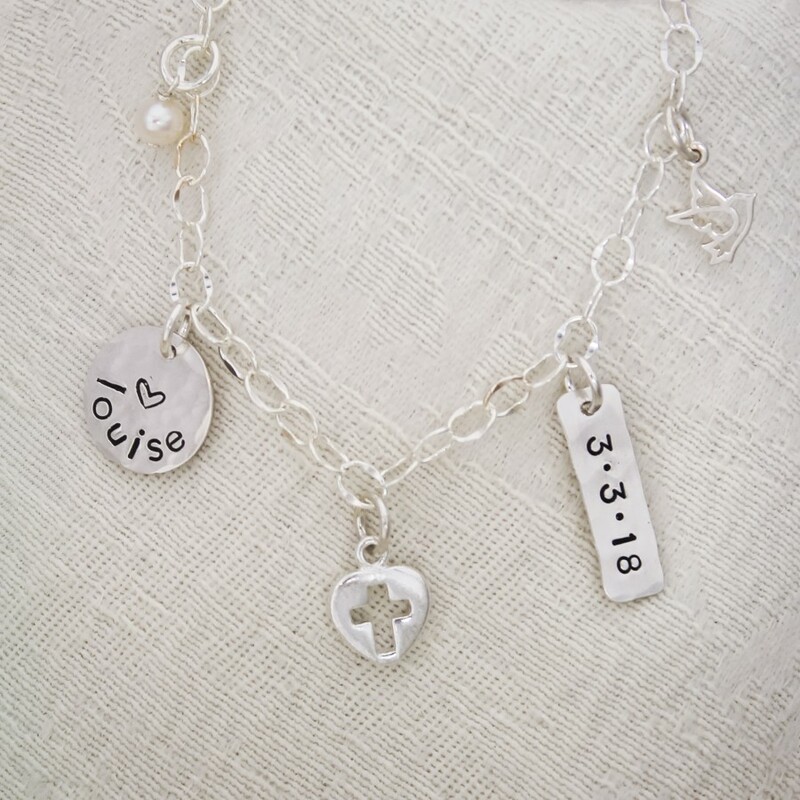 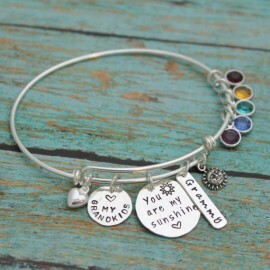 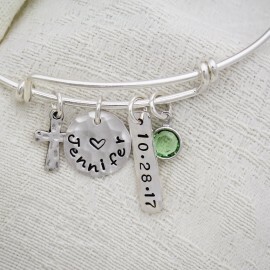 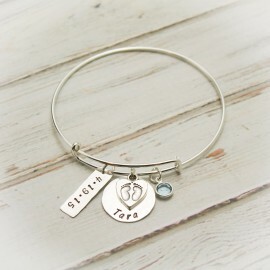 This personalized cross bracelet/bangle makes the perfect Confirmation or Communion gift. 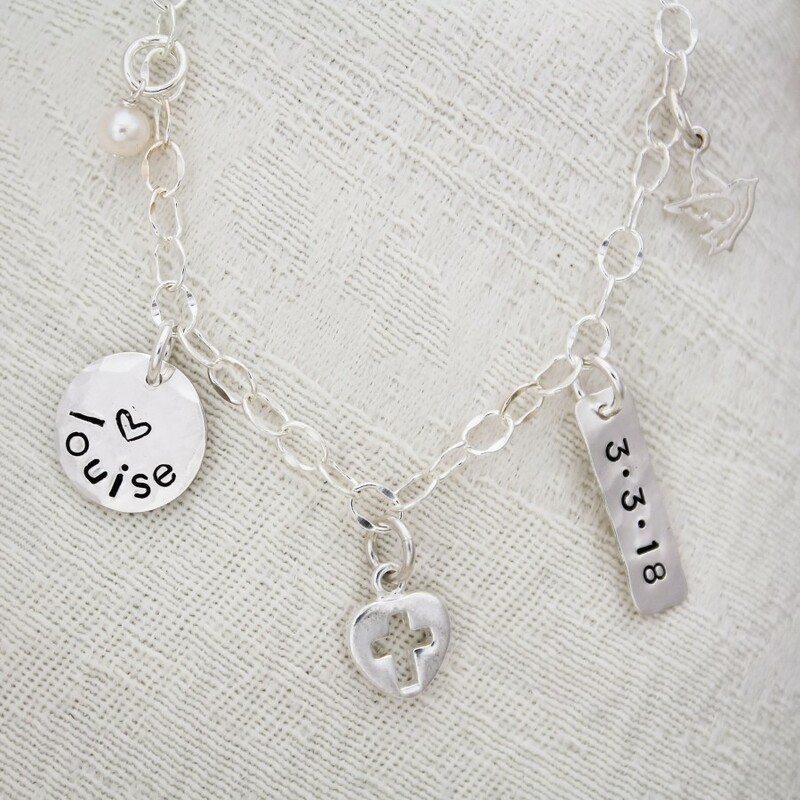 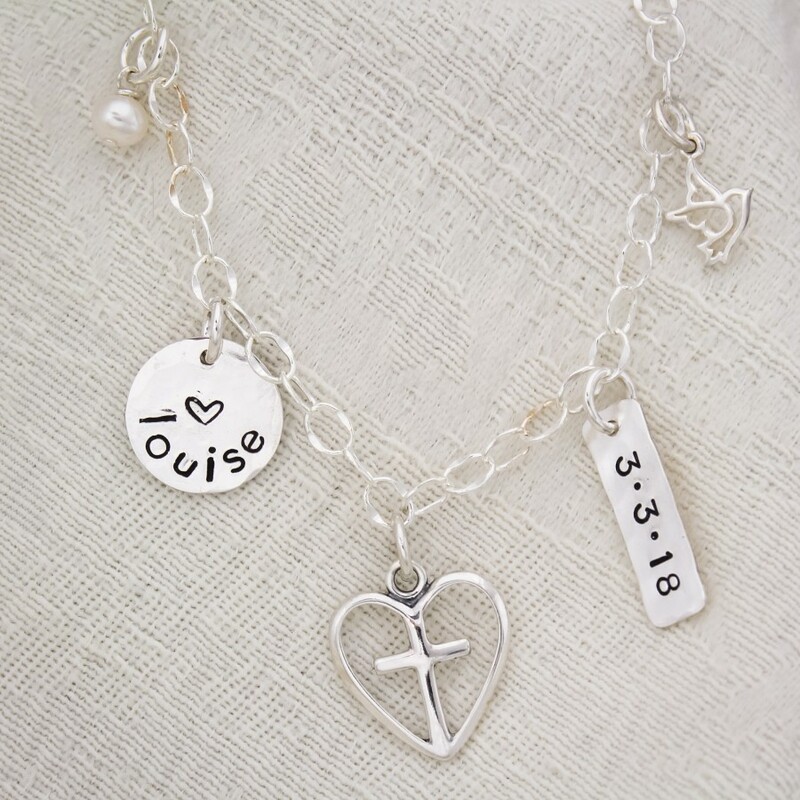 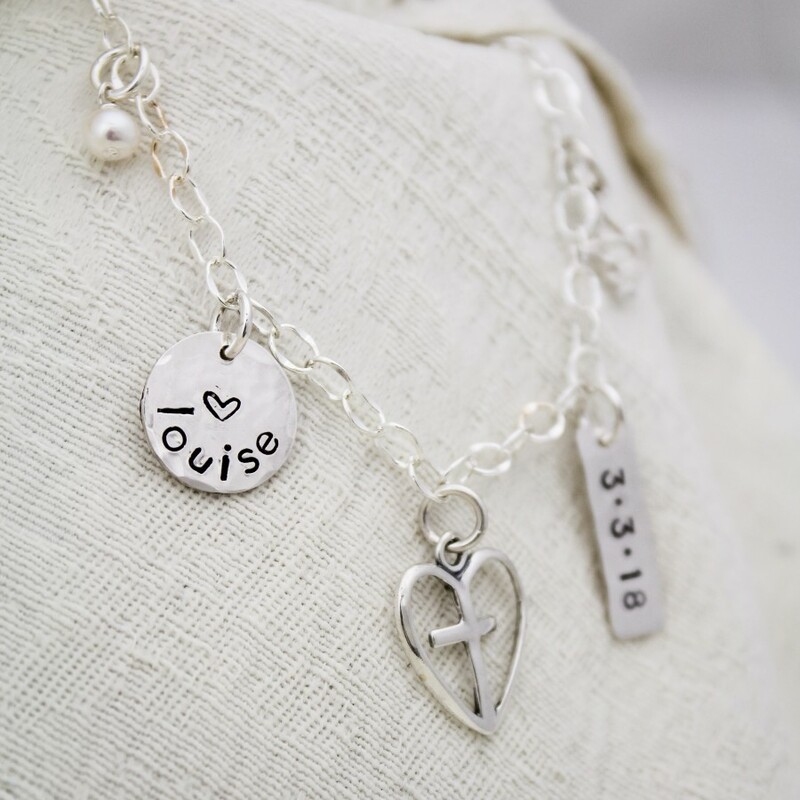 These classic charm bracelets come with 5 charms: Hanging on the bracelet center is a sterling silver cross (2 choices to pick from), 1/2 inch sterling silver disc, hammered and hand stamped with a name and heart, 3/4" sterling silver tag with a date (MM/DD/YY format), sterling silver dove, and pearl or birthstone charm (your choice of month). 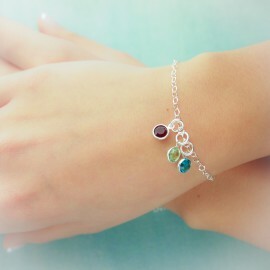 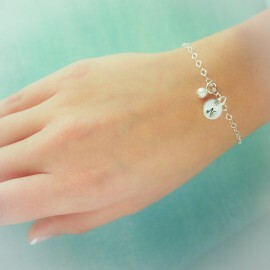 Bracelet is made with sterling silver link chain finished with a sterling silver lobster clasp. 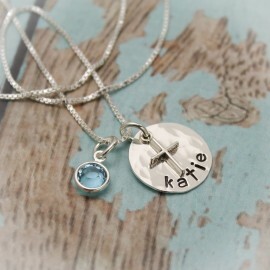 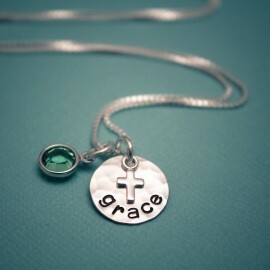 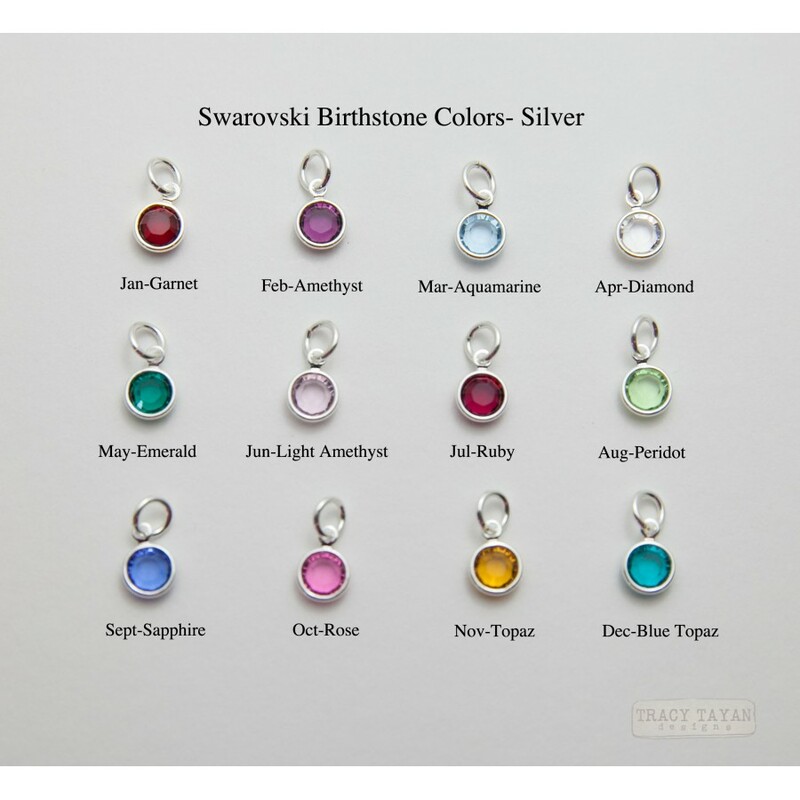 Sterling silver disc is 1/2" in diameter, tag is 3/4" long and 3/16" wide.